For Héctor and Lilia, pursuit of the American Dream became every parent’s worst fear when their infant daughter vanished as she and Lilia crossed from Mexico to the United States—now they must try to get her back. 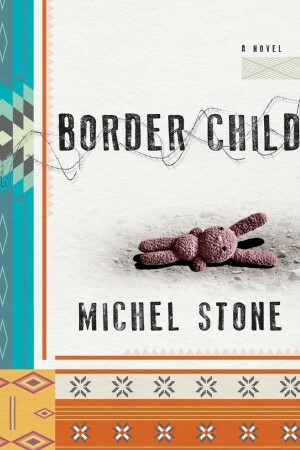 With great empathy and a keen awareness of current events, Michel Stone delivers a novel of surpassing sensitivity and heart. Young lovers Héctor and Lilia dreamed of a brighter future for their family in the United States. Héctor left Mexico first, to secure work and housing, but when Lilia, desperate to be with Héctor, impetuously crossed the border with their infant daughter, Alejandra, mother and child were separated. Alejandra disappeared. Now, four years later, the family finally has a chance to reunite, but the trauma of the past may well be permanent. Back in their sleepy hometown of Puerto Isadore, Oaxaca, in southern Mexico, the couple enjoys a semblance of normal life, with a toddler son and another baby on the way. Then they receive an unexpected tip that might lead them to Alejandra, and both agree they must seize this chance, whatever the cost. Working increasingly illegal jobs to earn money for his journey north, Héctor seeks more information about his long-absent daughter. Meanwhile, a bedridden Lilia awaits the birth of their third child, but cannot keep herself from reliving the worst mistakes of her past. In luminous, compassionate prose, Michel Stone drops readers into the whirlwind of the contemporary immigrant experience, where a marriage is strained to the breaking point by the consequences of wanting more for the next generation.